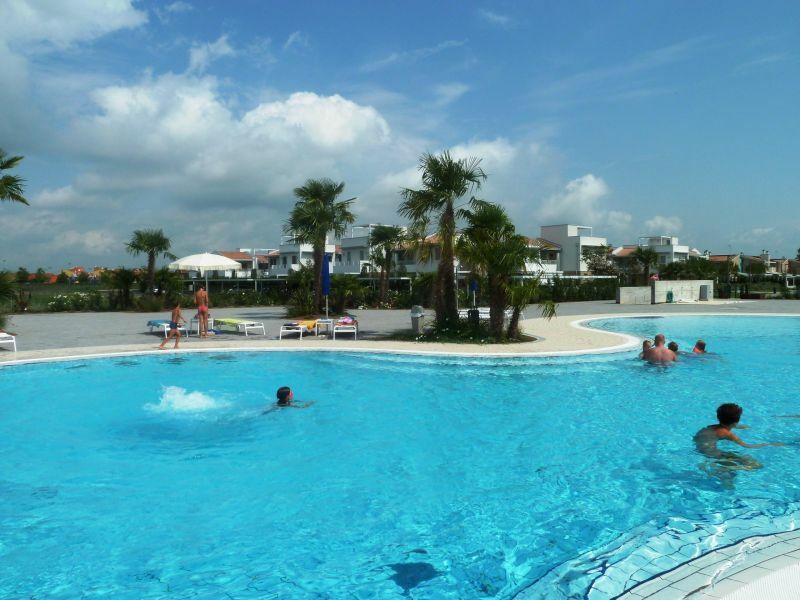 Our apartments facing the sea are located in the Villaggio Laguna Blu and all face the little lake in Lido Altanea. Surrounded by a characteristic maritime and lush context, they have a common pool suitable for children too, thanks to the safe lowered area. Sun and tan lovers can, indeed, relax in the comfortable solarium equipped with beach umbrellas and deckchairs. Among the apartments available to you in Caorle Lido Altanea two-rooms and three-rooms apartments with modern furniture, wide terraces, balcony, private garden, patio with pergola, private parking place, free wired internet connection, easy access to the beach and connection with an extended bicycle tracks network for excursion lovers. On the beach you have the possibility to enjoy sport activities as beach volley, windsurf and sailing, or the classic paddleboats for those who loves movement.